Pszczyna is spelled out [ˈpʂt͡ʂɨna] and for none Polish people it might be a little bit confusing. But besides of the name which needs getting used to, this place is a kind of insider tip, where to stay in Poland. The reason for the fact that Pszczyna is counting to the less known places is that this town is a pretty small place, which exists in the shadow of the popular touristic Polish destinations, like Krakow or Warsaw. Besides that it is located in a rural area, close to the Czech state border and seems to be too far away from the Polish “hot spots”. 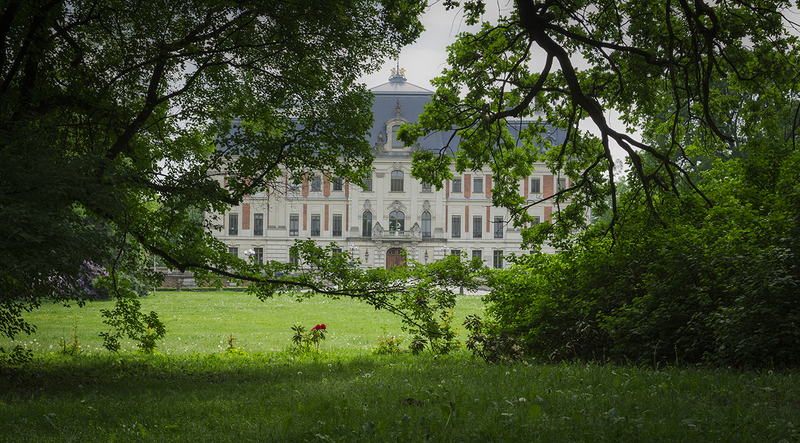 So why should you visit Pszczyna nevertheless and not the other places? One of the reasons is, that this place is not crowded with tourists and here you will find yourself in a green nature and a peaceful environment. Not for nothing the locals are calling Pszczyna the green lung of Silesia. Silesia? Never heard about it? Then read on, folks and get the bitter sweet longing for the wanderlust. What is Silesia and where is Pszczyna located exactly? 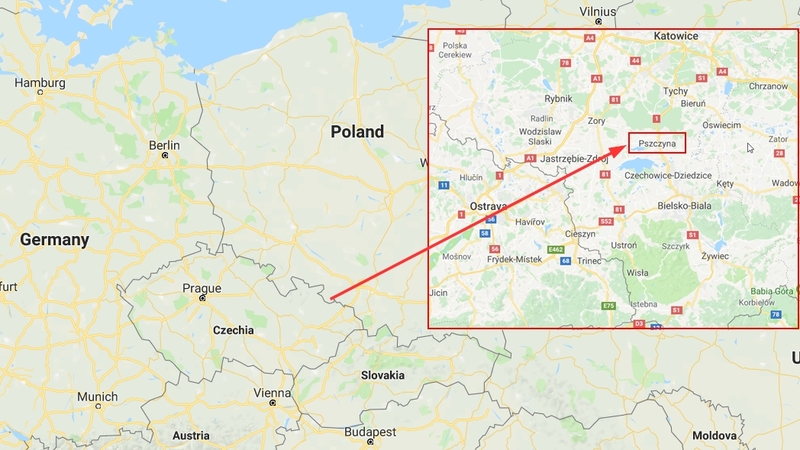 I will give you a crash course in geography and history: Silesia is a geographical region located in the south-west of Poland (most parts) and small parts of Germany and Czech Republic as well. In the past, this area was ruled by several dynasties from Germany (Prussia), Poland, Austria, Bohemia and so on. Nowadays Silesia is officially a part of Poland as it came under the Polish administration after the World War II. But I don’t want to bore you with historical topics, as this article is about things to do in Pszczyna and not about history. If you would like to know more about Silesia, you just can do some research on the internet or check the corresponding record at Wikipedia. The people here are tied to this region and don’t consider themselves as Polish and if it were to some of them, this region should be an own state. They even have an own Silesian dialect, which actually is a kind of a modified German language. But the Silesian language ist too much deviant from the modern German, so the Germans would not understand this language although there are similarities between the both tongues. Besides that, the Silesian is slowly dying out and it seems, the younger generation does not speak this dialect anymore. They actually speak preferred Polish as a mother tongue or a mix of Polish and Silesian. The reason for this is, that after the World War II to speak the German language was prohibited in Poland and as Silesian is a German dialect, the younger ones could not really practice it. As I already mentioned it, here you will find yourself in a peaceful environment in the midst of green nature. Also, you will find here friendly people, good Polish and Silesian food. And of course, you will find here some contemporary witnesses in the form of historical architecture. More about this you will read in the next section. And to mention another aspect which is surely important to you is that the price level in Pszczyna is lower than in the other touristical spots of Poland. Here you can expect prices about 30% to 40% under the average of the west European countries. What to do in Pszczyna? 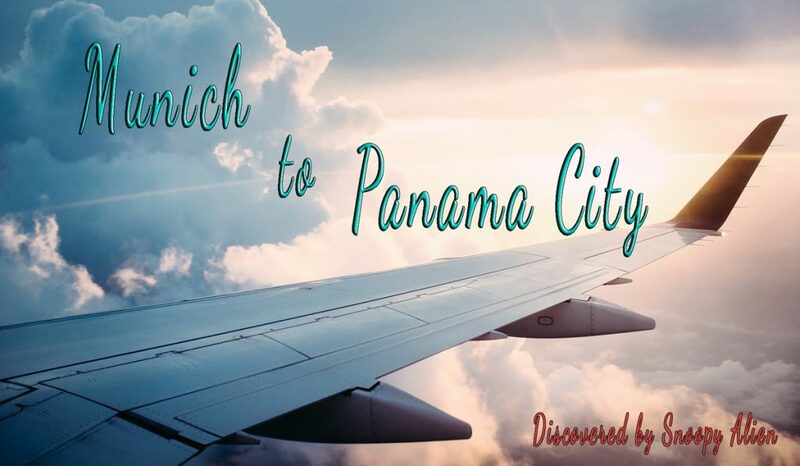 Now let’s get to the main part of this article and take a closer look to some touristic attractions. I will show you the main attractions and if you decide to visit Pszczyna, you will find there more things to do, I am sure. 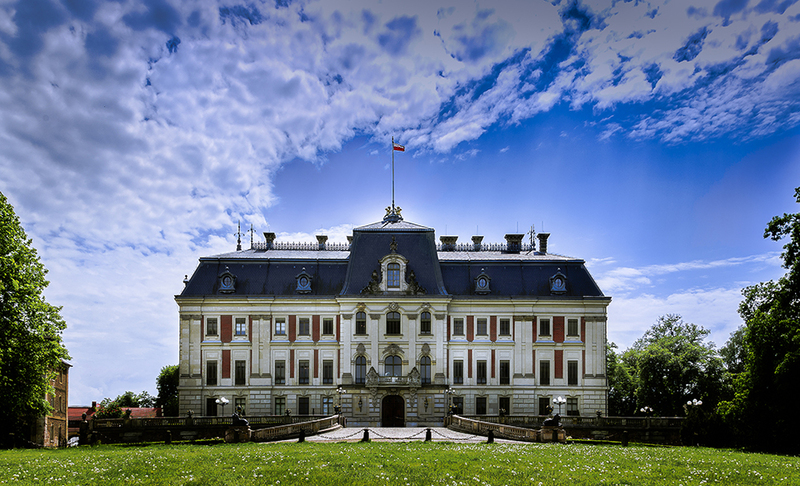 In Pszczyna there is a famous palace, which was already constructed in the 13th century as a castle. Later, in the 17th century, it was rebuilt as palace in the Renaissance style. It was a residence place of Polish and Silesian nobility (e.g. the noble family Pless). Check out some pics in my Pszczyna gallery. 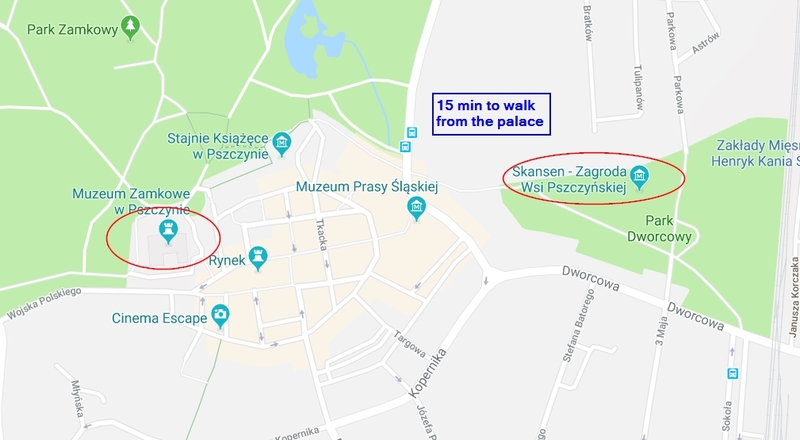 The palace is located directly at the marketplace of Pszczyna, and you will not miss it, for it is quite clearly visible from the marketplace. Here you can check the opening hours and the entry fee. If you like to take some pictures inside of the palace, it would be no problem. The only restriction is that you can make photos only without using a flash. Please note that in Poland you need to pay with Polish currency. This park is also called the “Palace Park”, because it is located directly to the palace. Thus, if you visit the palace, you can visit the park directly after that. At this time, the Palace Park has a size about 48 hectares. Here you will find yourself amidst of splendid nature, broad and narrow alleys, some scenic bridges and fragrant flowers. So, check out some pics in my Pszczyna gallery, folks. During the spring and summer this park is well visited by the locals, having a good time there. If you like historical things, it is a one more reason to visit the park. For in the northern area you will find the necropolis of the noble German family of Anhalt. The locals call this place “Groby Anhaltów” which means “Tombs of the Anhalts”. The Anhalts ruled the area of Pszczyna in the 18th century and were also buried there. The necropolis consists of a sand stone obelisk with a German inscription “Auferstehn wirst du, mein Staub, nach kurzer Zeit”. Translated it means “Resurrect will you, my dust, after a short time”. 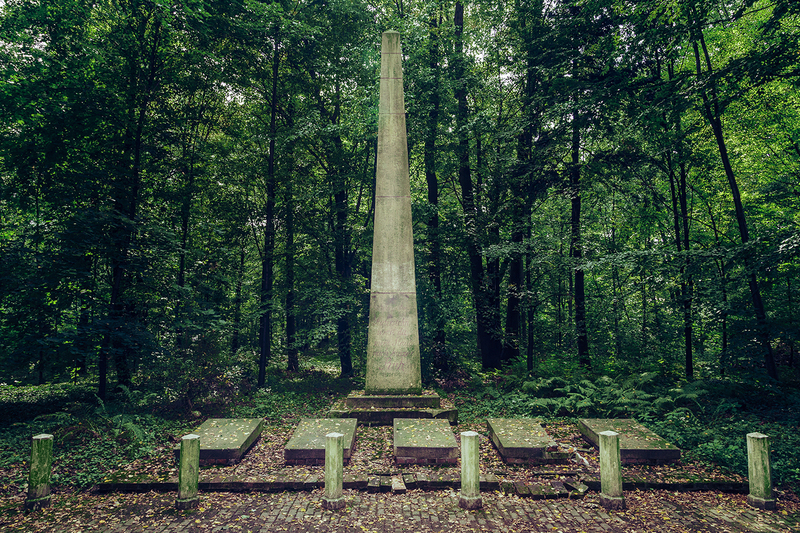 In the front of the obelisk you will find simple kept tombstones of the rulers of Anhalt and his family. Namely: the ruler Friedrich Erdmann, his wife Luisa Ferdynande, the countess Stolberg-Wernigerode, her elder son Ernest Erdmann and the both children of Friedrich and Luisa who died very early: Christiana and Georg. On the opposite site there is a single tombstone on a pedestal of the ruler Ludwik Anhalt. The tombstone is crowned with a big iron christian cross, embraced by a iron snake. Check out the pics in my Pszczyna gallery, folks. There are signs in the Palace Park, so you will find the necropolis quite easily. The Skansen is an open-air museum. It consists of about a dozen wooden buildings which are about 100 to 250 years old. They were found in the vicinity of Pszczyna, then dismantled and reassembled in the area of Skansen. 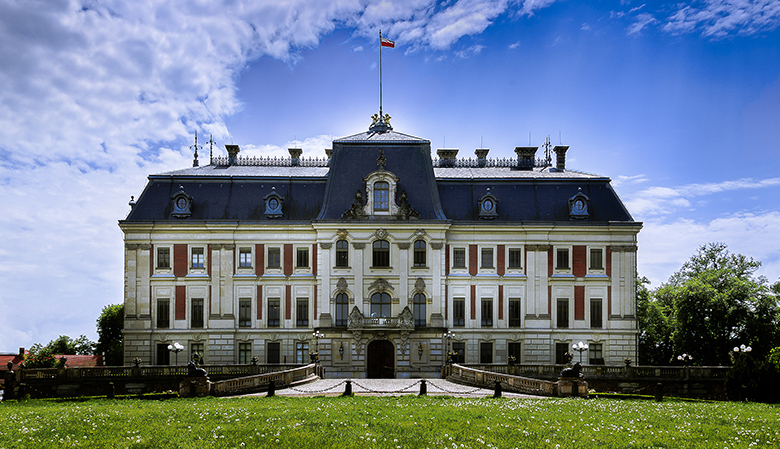 This museum has a high historical and cultural value and it is one of the unique attractions in Pszczyna and Silesia. So, I strongly recommend you to visit this place, folks. Also, check out the pics of Skansen in my Pszczyna gallery, folks. 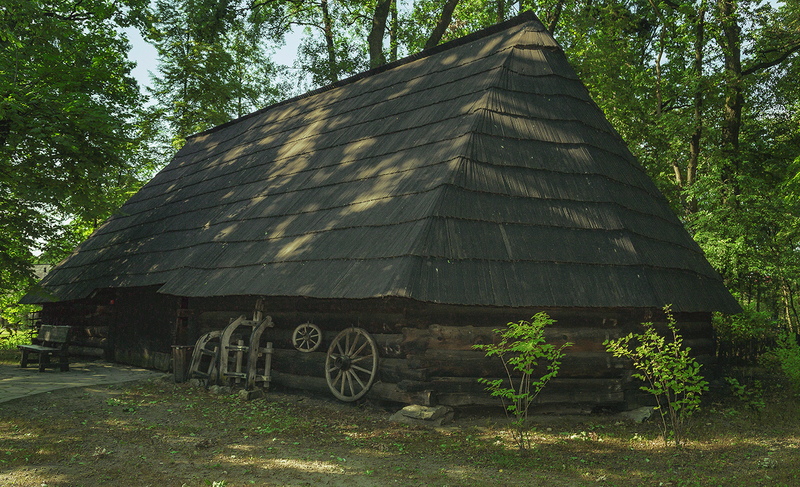 The Skansen is located in the eastern part of the park of Pszczyna. Just follow the signs in the park. One further recommendable attraction in Pszczyna is the Bison Park. Here you will find some bisons and other animals, like peacocks, red deers, normal deers, a donkey, some sheeps, and so on. However, I don’t understand, how a peacock is fitting into this scenery, for the park is about European fauna. Anyway, this place is worth to be visited, because the European bisons are ranking amongst the most endangered species and you will scarcely find them in the European forests. You will find the Bison Park in the north of the Palace Park. Just follow the signs and you will not miss it. 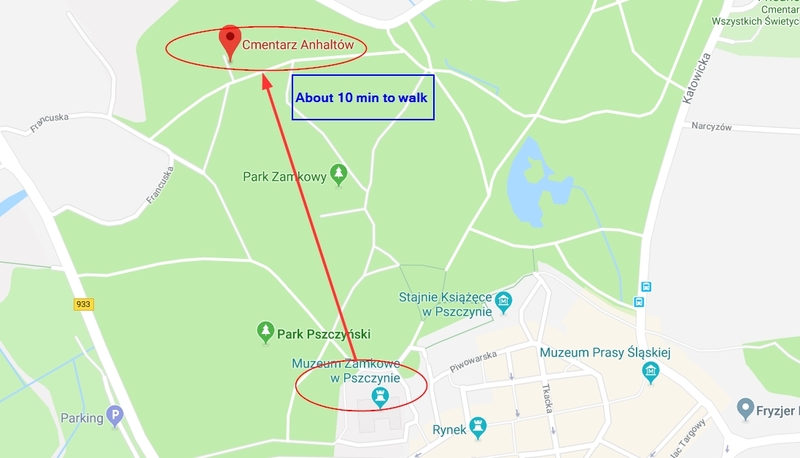 How to get to Pszczyna and where to stay? 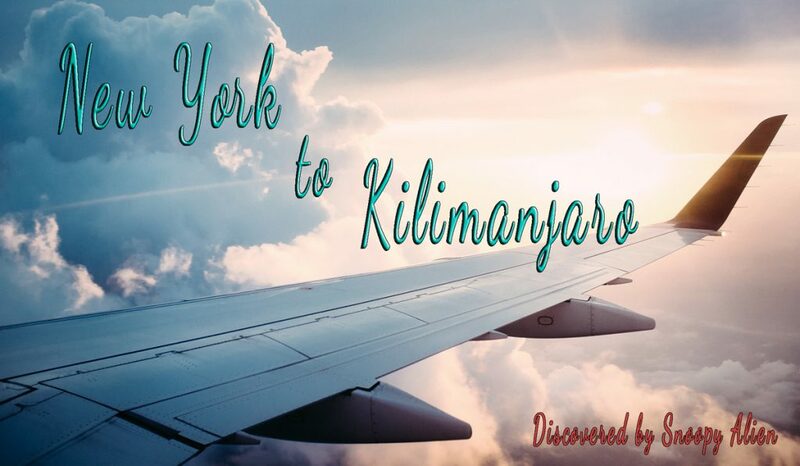 Well, Pszczyna is located in a rural area and the fastest way to get to this place, is to book a flight to Krakow and then to rent a car at the airport. 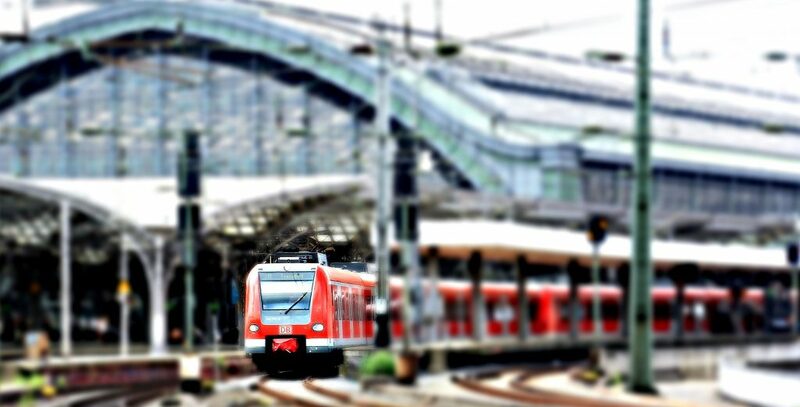 You can also go by train from Krakow. But in this case you would have a restricted mobility and this would be a pity, for you could discover much more places around Pszczyna. If you would like to know where to stay in Pszczyna, you can read more about this in my next article here. Okay, folks. I hope, you will have your pleasure with my suggestions and have a good time in Pszczyna. If you have any questions, just leave a comment and I will answer as soon as possible. Now I know the first place i will visit once i land in Poland…thanks. What brought you to Pszczyna? It’s a cool place, though for me it’s a place I’m mostly stuck in traffic. a friend of mine used to live in Pszczyna and he told me about this place.